Learn the basics of business law and what it means to you with UNDERSTANDING THE LAW, Seventh Edition. 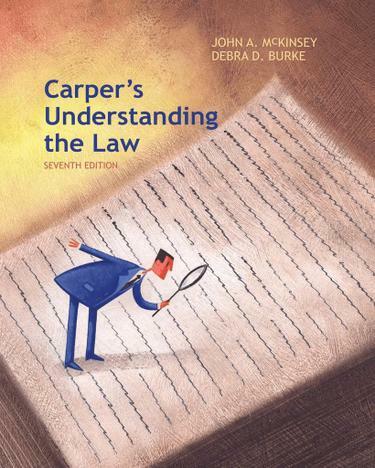 This popular text discusses how various aspects of the law affect the individual, highlighting the personal law issues that confront people in their everyday lives. UNDERSTANDING THE LAW uses engaging hypothetical and real examples to illustrate important points of the law and to inspire lively discussion with your peers. This edition incorporates new coverage of ethical issues and the law. These ethical and moral issues are covered in boxed readings as well as throughout each chapter. This edition continues to incorporate coverage of international and comparative law throughout to give you essential knowledge for today's global marketplace.